Excels Over Cheap & Noisy Plastic Imports. Collects Airborne Pollutant Matter While Soldering. 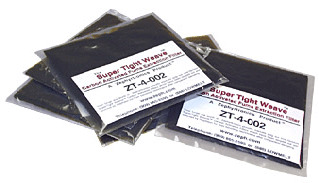 Unique Super Tight™ Weave Filters of activated-carbon trap fumes and particulates while the powerful ZT-4-MIL draws fumes away from your personal soldering space without the annoying whine from cheap DC fans. Every ZT-4-MIL ships with six of our amazing filters at no extra charge. 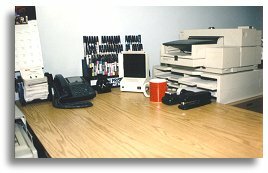 Made in the USA quality with thousands in use, some for over twenty years! Effective Fume Extraction at the Bench! Contributing to a healthy work environment, the AirPlus™ ZT-4-MIL with its amazing Super-Tight Weave™ woven carbon filters is your space-saving way to remove noxious soldering fumes. MIL-Spec & RoHS compliant, the ZT-4-MIL was designed for PCB work benches, engineering labs and R&D groups where soldering and desoldering are performed. Twenty years on the market. 1-year limited warranty., the ZT-4-MIL is used at the most prestigious electronic campuses and governmental labs on earth. Best in Class: The ZT-4-MIL is a compact, personal air-cleaning system for your desk or workbench, yet powerful enough to effectively filter pollutants and health hazards such as smoke, chemicals, air borne dust, fumes, and obnoxious odors. Superior to Other Extractors! This is the same benchtop fume extractor chosen by the Canadian Armed Forces after careful evaluation of extractors. Truly Whisper-Quiet during operation. Fabricated for heavy, industrial soldering, the ZT-4-MIL is in a higher-class compared to most all other benchtop extractors. 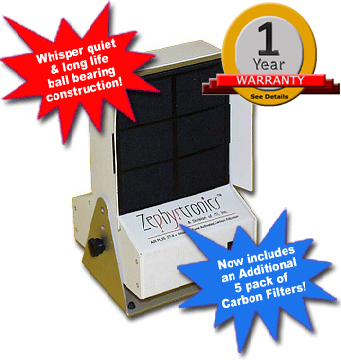 Our SuperTight™ Weave Filters Trap & Absorb Pollutants. Fume Particulates Don't Just 'Pass Through". Our SuperTight Weave™ Filters Blow Away the Competition! One of the greatest distinctions is that the ZT-4-MIL uniquely utilizes our world-famous Super-Tight™ Weave woven carbon-activated filters. Why settle for less? See the difference yourself. Compare: A side-by-side visual comparison of the SuperTight™ Weave filters with others quickly reveals the advantage of our impressive filters. Construction: All Metal Casing for Industrial Includes 6 Carbon Activated Filters! Rugged, Durable All Metal Construction and ESD-Safe, the ZT-4-MIL is housed in a durable metal case (not in a cheap, thin-walled plastic, fragile box). It ships with a 3-wire, grounded plug, and a lighted rocker switch. It is subjected to rigorous testing in our Los Angeles factory. Over 60,000 Quiet Hours of Life! Premium Ball-Bearing Fan! The ZT-4-MIL has a high performance, long-life, metal-housed fan, not plastic fans typical within most bench fume extractors which quickly wear out. It is a tool, not a toy. Whisper-Quiet Operation! Still another striking advantage is the fan/blower within the ZT-4-MIL is built with premium, ball-bearings making it extremely quiet in comparison to other "imports" with their cheap plastic "sleeve-bushing" that whine and squeal and only get worse over time. Easy-To-Change Filter Design: Changing filters can be a real nuisance with other fume extractor brands. The quick "snap-in" feature of the ZT-4's filter guard makes changing filters a breeze! You never need any tools or hardware when changing filters. Just pop out the filter guard, replace your filter and in seconds you are back in business. In comparative testing, a U.S. Defense Contractor confirmed our filters are far superior to others. After a single day of heavy soldering, our filters were whitish in color from flux particulates captured within its tight carbon activated cells. But -- on the next bench, a "filter" in another brand still looked new. Why? Too porous filters. Larger pores or "openings" within a filter permits smoke, fumes, and flux particulates to breeze right on through and re-circulate in the workplace. Changing Carbon Filters Is a Breeze. 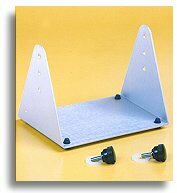 Pop Out and Snap-In Filter Guard. 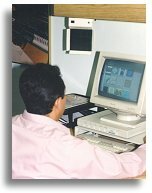 All Zephyrtronics Equipment is Designed, Engineered, and Manufactured in the United States of America. What About the Fumes When One Solders? 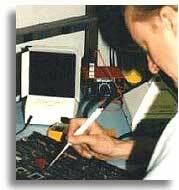 The soldering process requires the use of flux. Flux is activated by application of heat and by-products of smoke and fumes are generated and released into the air. Flux is typically composed of rosin-resin and mixed with an activator, halogen organic agent some times called pine resin. Smoke and fumes flux arising from the soldering activity can cause headaches, nausea and eye irritations. The main component of rosin is Abietic Acid . With the high temperatures of soldering, the Abietic Acid becomes denatured to neo-abietic acid and noxious components such as salycylic acid (HOC H COOH) and pinene are released within the fumes and into the immediate work area. Fluxes can contain high levels of resin/rosin which generate and release phenol (C H OH). Flux activators can generate and emit hydrogen chloride (HCL) and/or other compounds. The ZT-4 AirPlus™ Smoke Extractor is Also Home at the Desktop. Health problems associated with soldering processes are attributable to colophony, a main constituent of rosin-based flux. At best, smoke and fumes from flux activation while soldering may only cause coughing, sneezing, headaches, or watery eyes, but for 1 in 5, occupational asthma and chronic bronchitis can be an outcome. For best results with carbon activation, soldering within 20 cm or 8 inches of air intake is recommended. The U.S. Government and the European Common Market, Mexico and Japan now have occupational hazard standards relating to noxious gasses in the workplace and to permissible amounts of such compounds. Indeed, fume extraction equipment is now required within the European Common Market. The Zephyrtronics ZT-4-MIL Smoke Extractor helps meet these standards when used properly.